This page will display all the Mystery Photos as we go with their correct answer. The first 2 photos were sent to us but since they are not local we had no where to slot them. They are both interesting and so we decided to add them in here for your viewing. 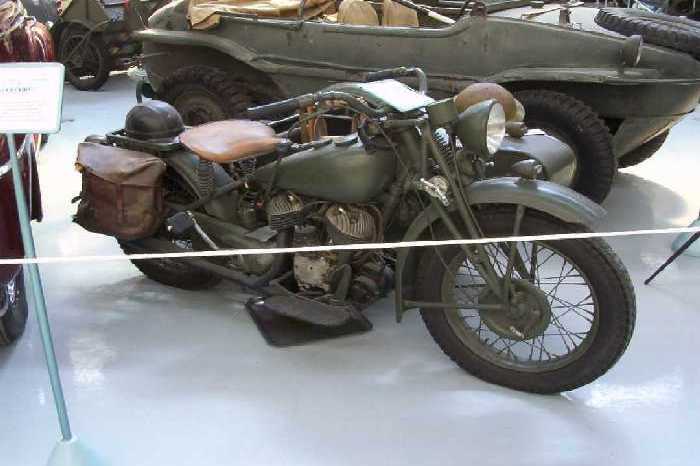 1942 Army Indian Motorcycle. 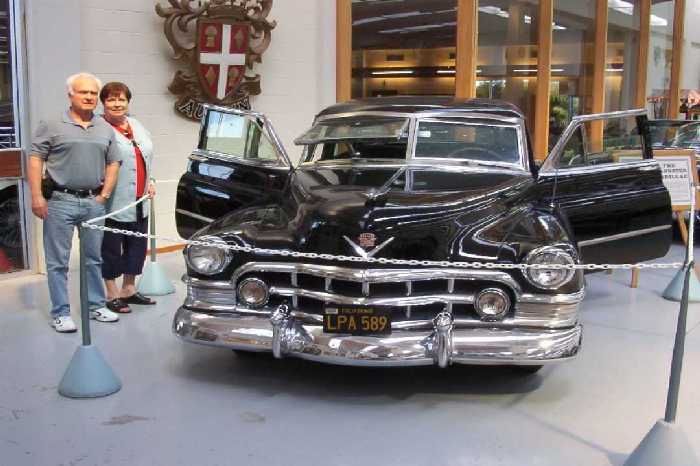 This can be found in the Museum at Paraparaumu. Found in the Wairoa Museum. 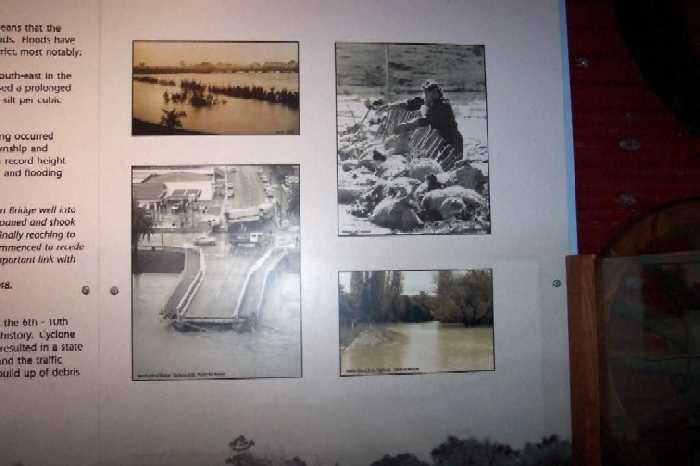 Pictures of the Bola Disaster which hit 8th March 1988. 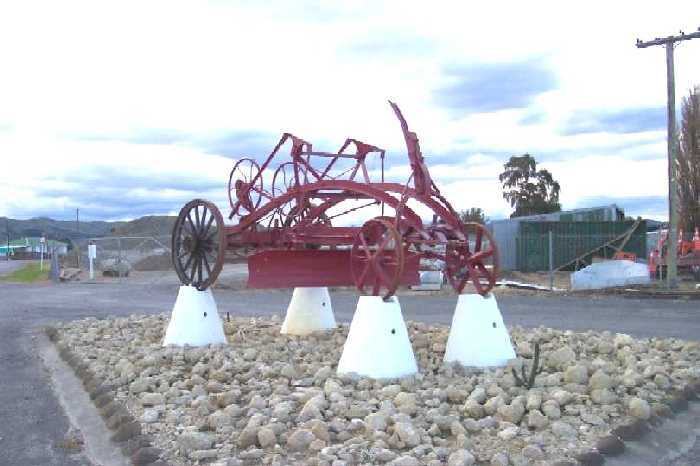 This is a Horse Drawn Grader outside QRS. 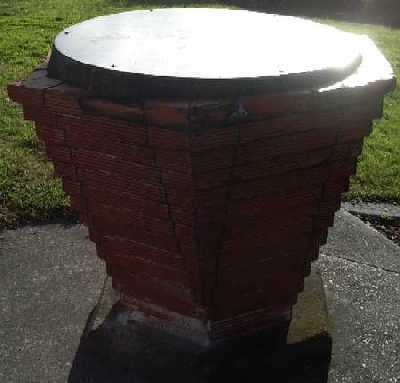 They came into use around the 1920's. State Insurance. 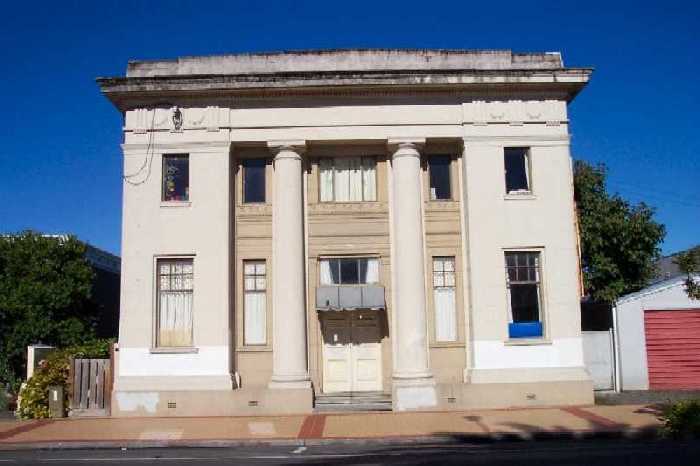 Built by Bank of Australasia 1911. Found beside the Museum. 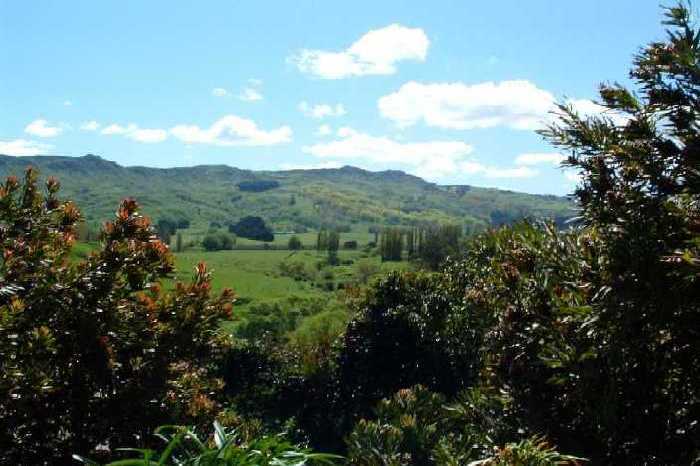 The beauty and lushness of Omana Valley in mid Winter. 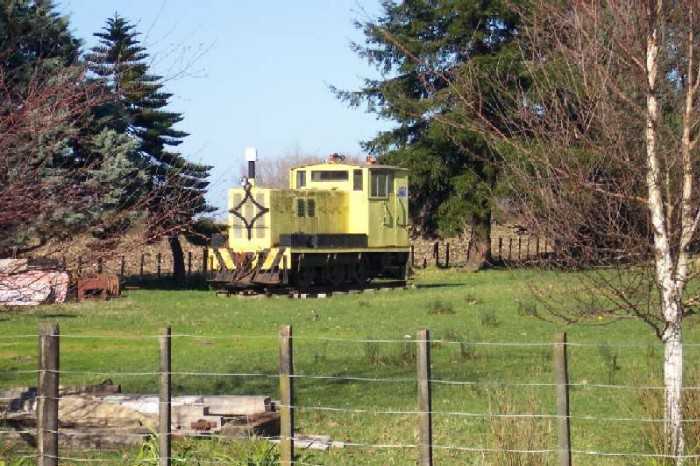 Nuhaka, north of Wairoa. 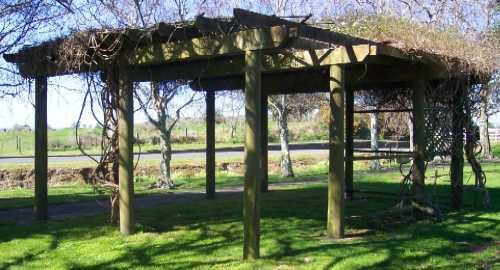 This is a Rest Area with a great view, in Memorial Park at Mahia, 45 Minutes from Wairoa. Moumoukai Peak Morere. A Fortress saving the local people from extermination. 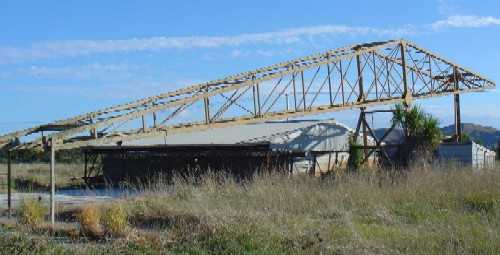 Nuhaka Railway Bridge. Weakened by the teredo worm, the bridge collapsed completely. 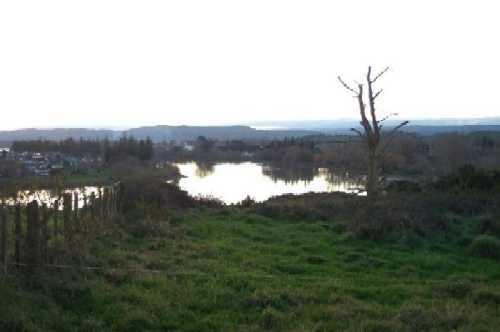 This bend in the river is known as Spooners Point. 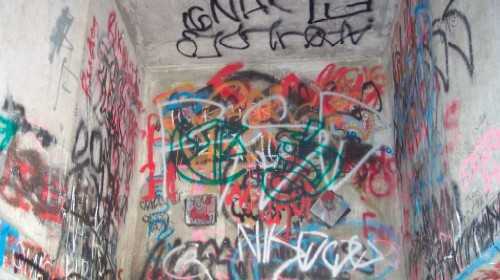 Cnr. Marine Parade & Kopu Road. 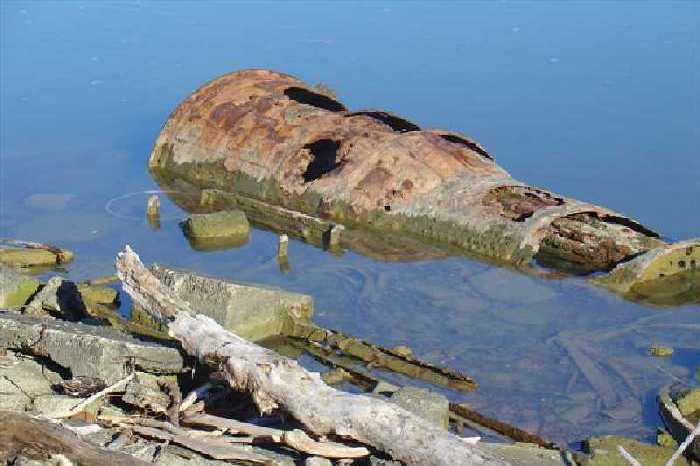 Remains an old Steam Engine that drove Piles for Wharf.Thought to be the Boiler. 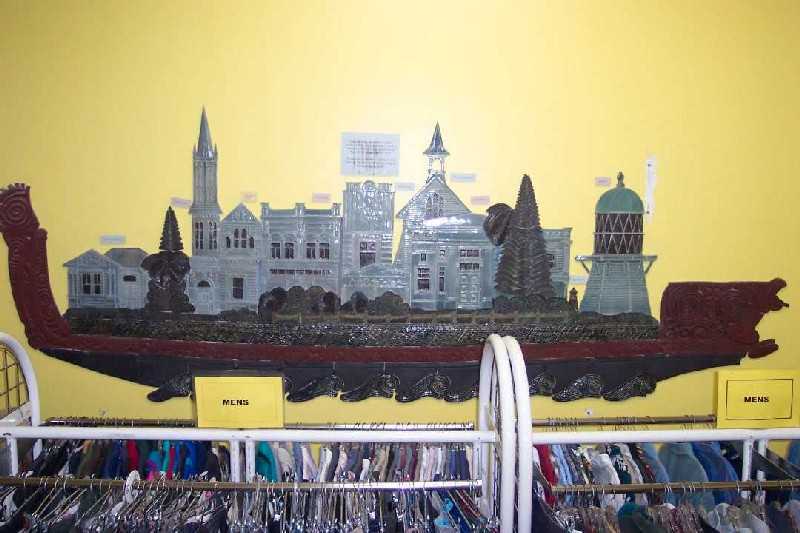 Mural found in the Salvation Army Shop. Christopher Vine. 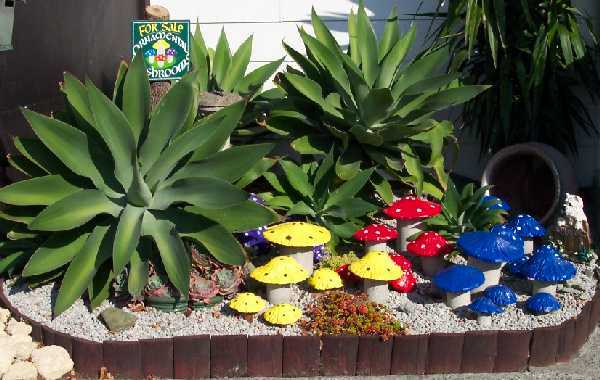 Made in Ceramics. 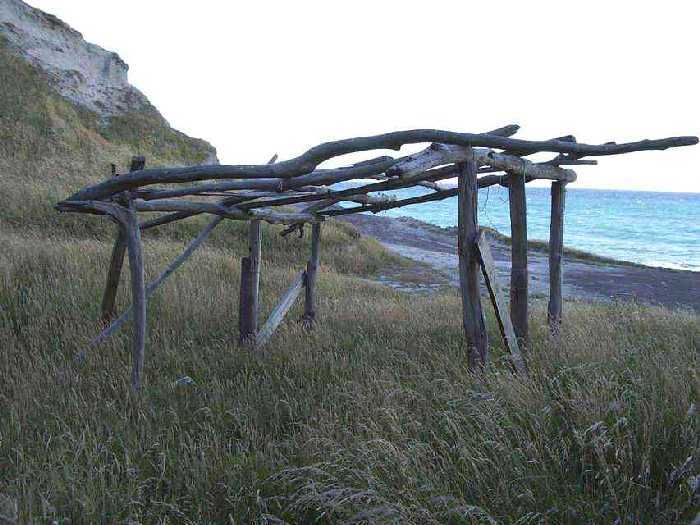 Found at Waihua Beach.The wooden structure is unknown but some sort of shelter. 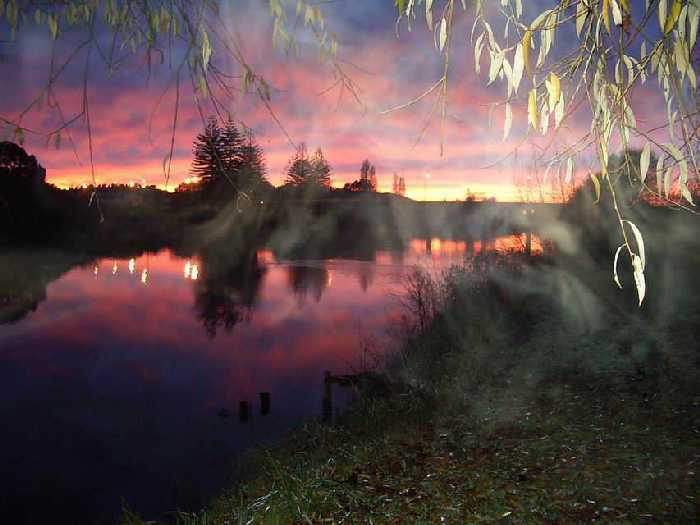 This sunrise was taken from Riverside Motor Camp, looking up stream to the bridge. Found at Nuhaka. Owned by Affco. Shunted Meat Wagons around Freezing Works. 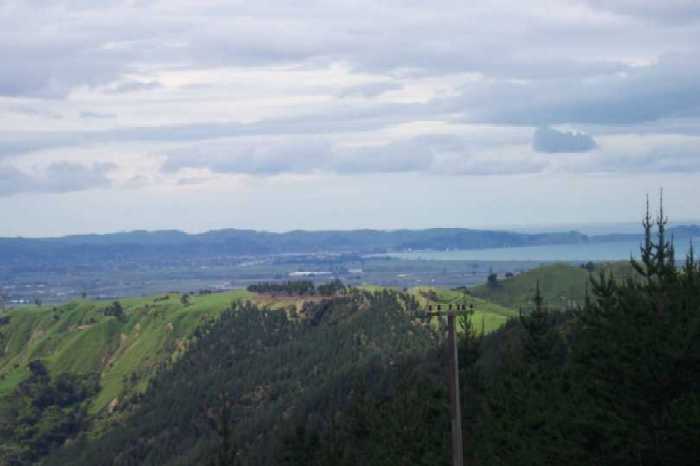 This photo was taken from the top of Gentle Annie looking over Gisborne. 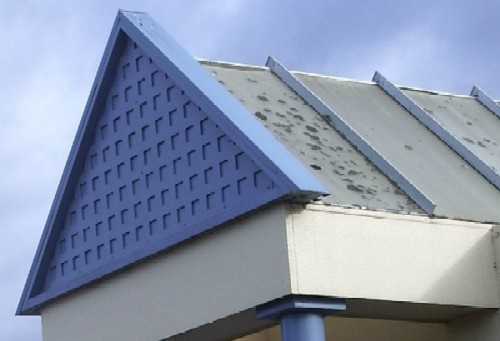 This is the top of the Clyde Hotel which is found along Marine Parade. 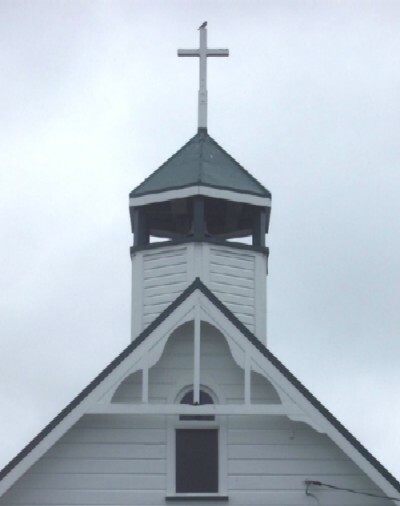 This is the top of St Theresa's Church which is along Ruataniwha Road. 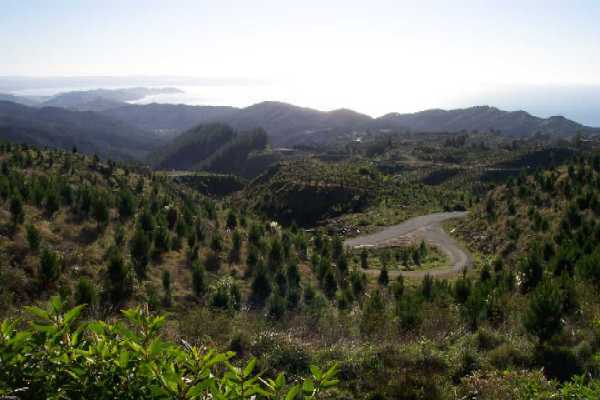 Taken from the top of the Wharerata Hills between Wairoa and Gisborne, looking North. 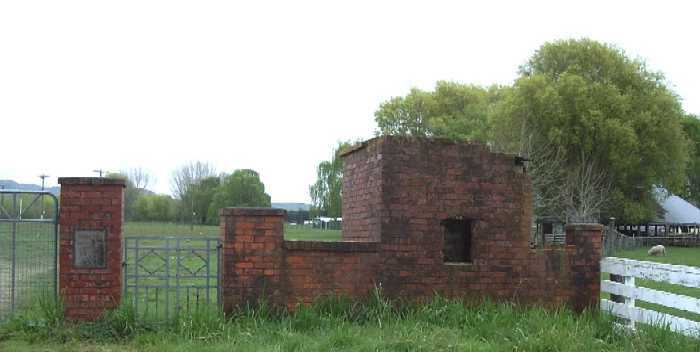 This photo is the Sewerage Control Building found in Alexander Park. 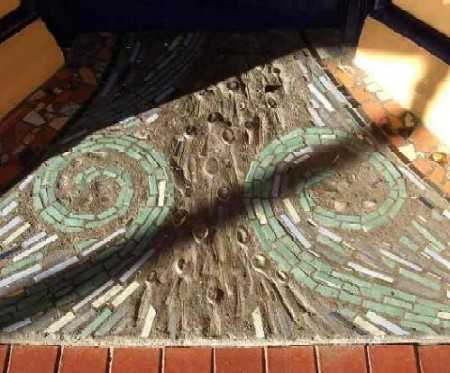 This was taken in the doorway of the Mina Cafe and Restaurant in Marine Parade. 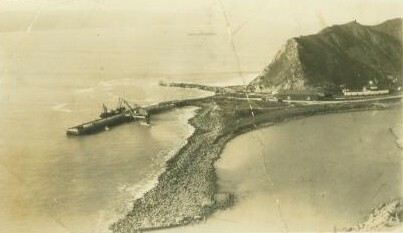 This photo was taken to the north of Opoutama around the 1930s of Waikokopu Harbour. 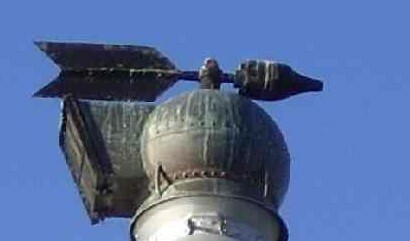 You will find this Wind Vane on top of the Lighthouse in Marine Parade. Taken from Ngamotu Road, Ohuia, looking over the East end of the Wairoa River. 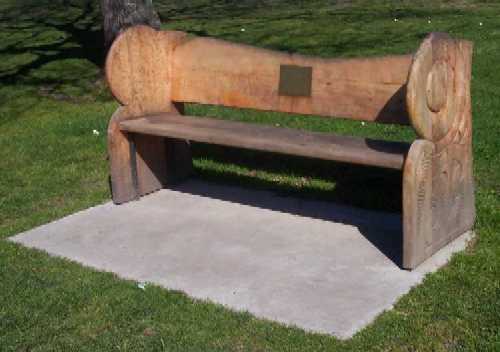 This Memorial is in Memory of Pitihera Kopu and is opposite the Library. 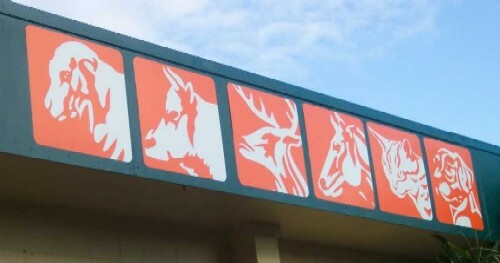 This can be found on the outside of the Library wall along from main Entrance. This street number is above the shop Coin Save, Marine Parade & Locke Street. 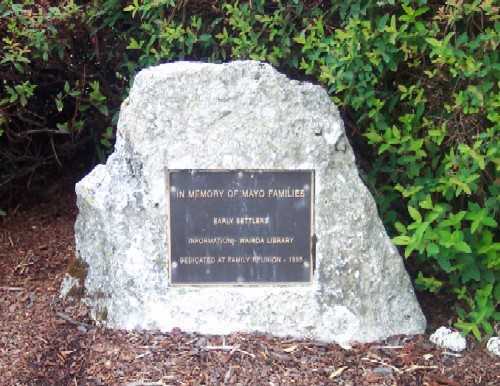 The Mayo Memorial is along Marine Parade, opposite Fish and Feathers. 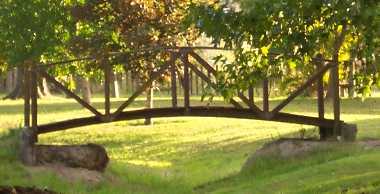 This photo of a walk bridge was taken at Memorial Park, Hunter Brown Street. 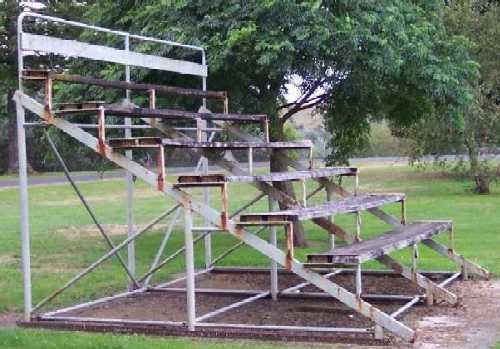 This is the public stand outside the Wairoa Tennis Club along Marine Parade. 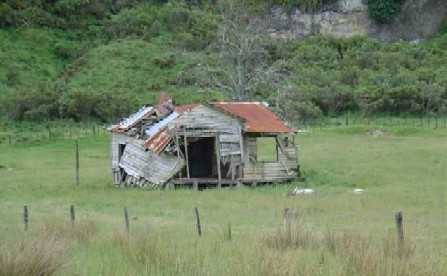 This photo was taken along Kopu Road not far from the Wairoa Sailing Club. 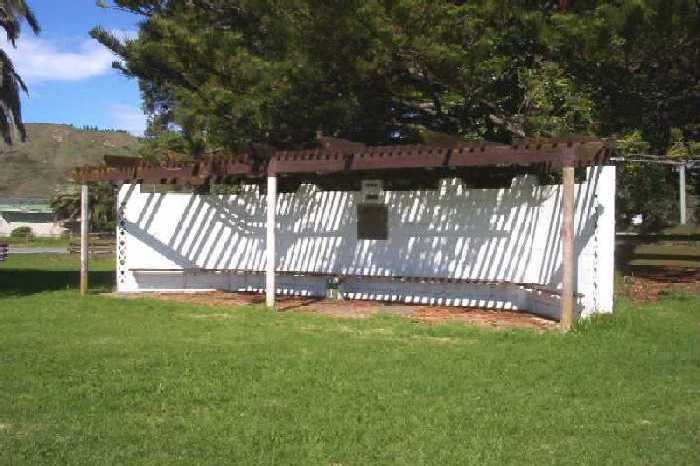 This is a photo of the fence along the side of Kids House, Marine Parade. 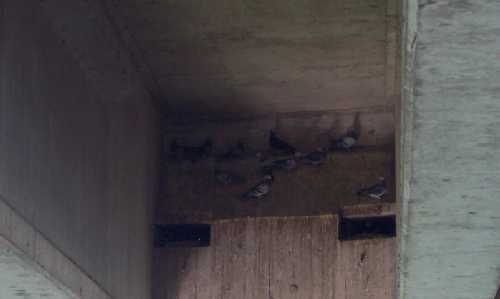 This photo was taken under the Wairoa Bridge at the town end, not at the Art Gallery. This photo can be found on the old Oslers building along Carroll St in North Clyde. 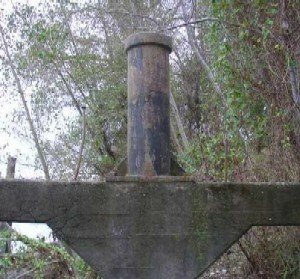 This canon can be found beside the Cadet Headquarters in Carroll St in North Clyde. 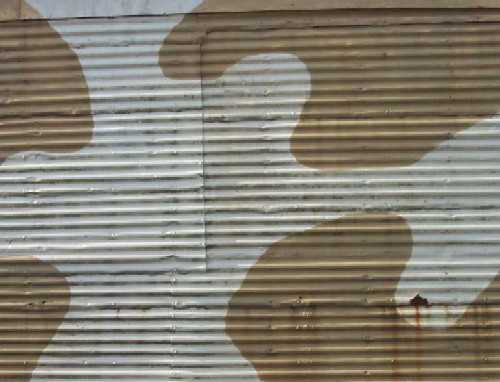 This paint work is on the old Cadet Headquarters in Carroll Street, North Clyde. 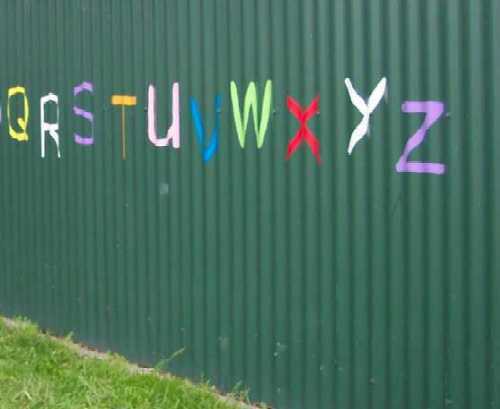 This piece of artwork is on the fence outside Carters, McDonald St. North Clyde. This car park is outside the old Railway Platform along Ormond Road, North Clyde. 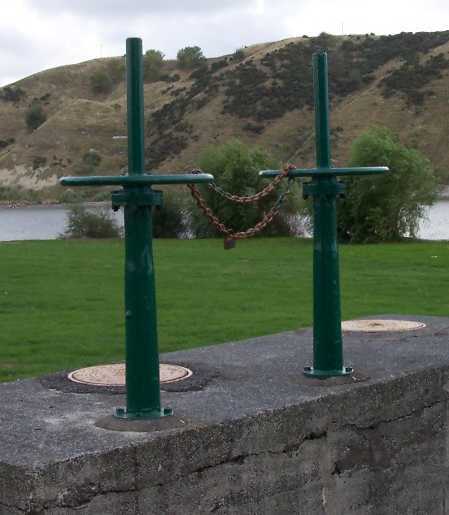 This photo was taken on the side of the old Milk Factory along Mahia Avenue, North Clyde. 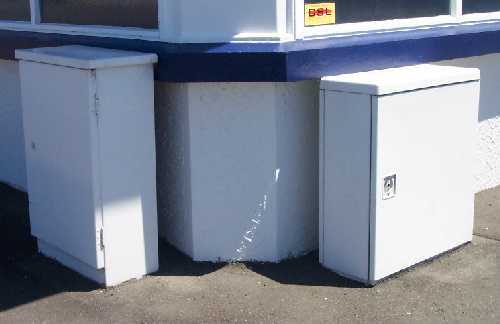 This can be found on the front of the Wairoa Vet Club, Freyberg St. North Clyde. 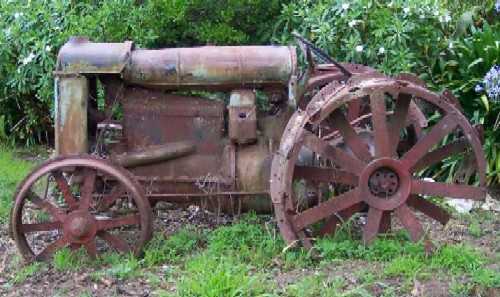 This tractor can be found outside the Tennis Club clubrooms, East end of Marine Parade. 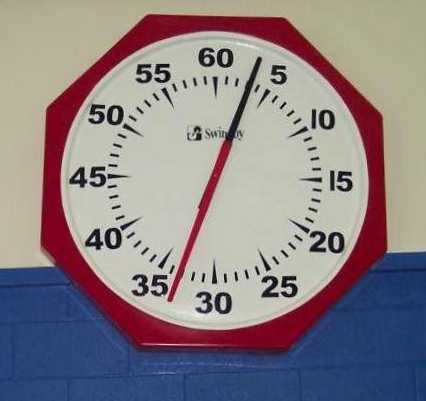 This clock can found in the community Centre, above the swimming Pool, Marine Parade. 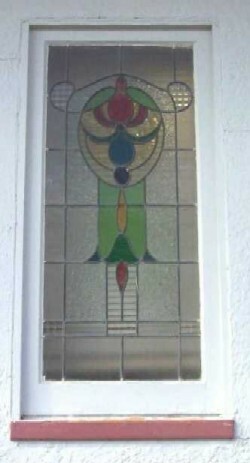 This window can be found on the front of Mr Pickerings building, Marine Parade, West. 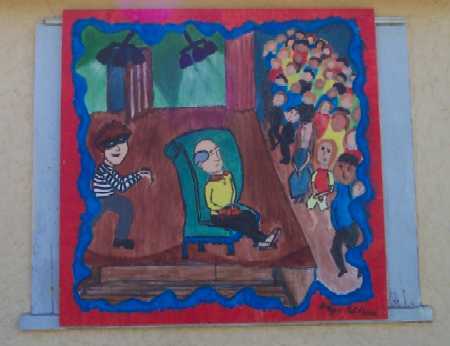 This piece of Artwork can be found on the side of the Little Theatre in Black Street. 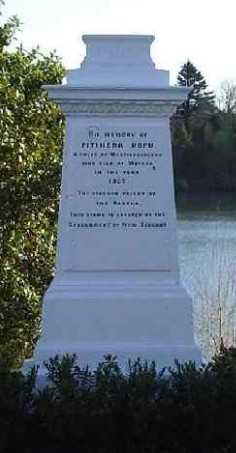 Sir James Carroll Memorial, situated behind AFFCO along the river bank. 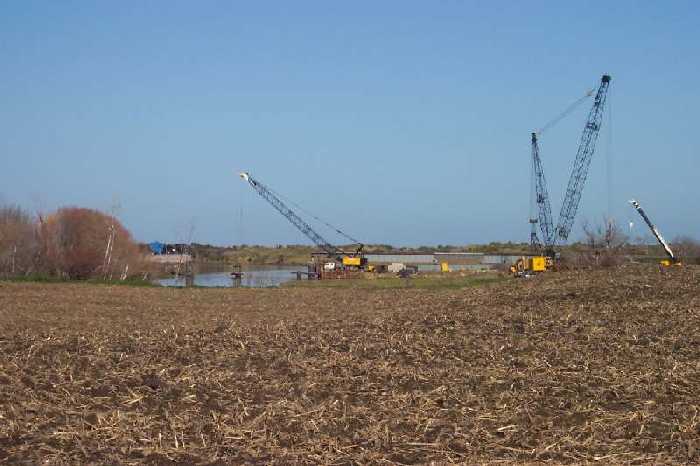 Part of the remains of the Wharf built for the piggery East of AFFCO Meat Company. 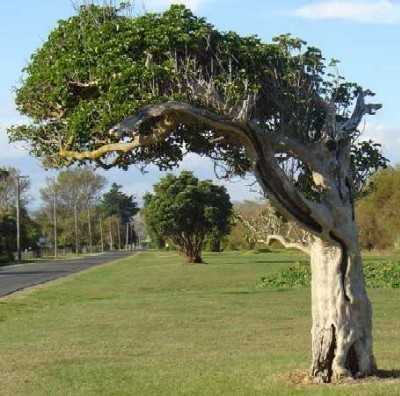 This is a Vitex or Puriri tree and can be found at the southern end of Kopu Road. Taken at the Local Wairoa Airport, the fertiliser loading boom for the old DC3 topdressers. Taken from Awamate Road. Road to Railway Bridge used during Bola by road traffic. Taken from Awamate Road. 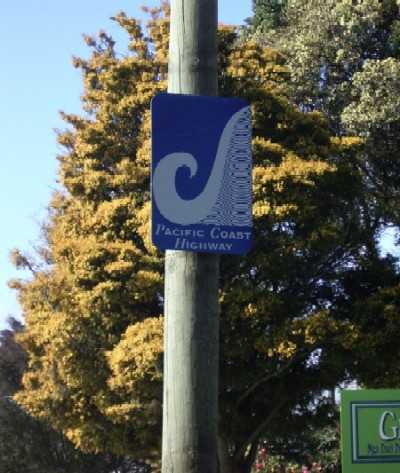 The Sign is on State Highway 2 heading south to Napier. 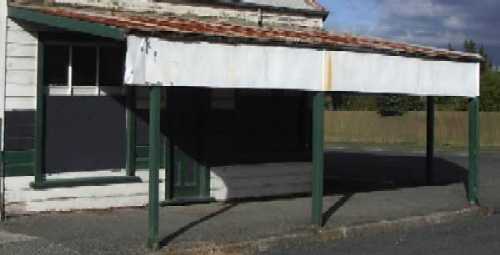 This is the gable of the rest rooms in Queen Street along from Clyde Court. 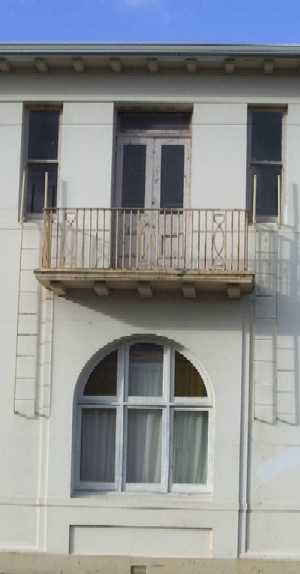 This is one of the windows on the front of the County Club, Marine Parade East. 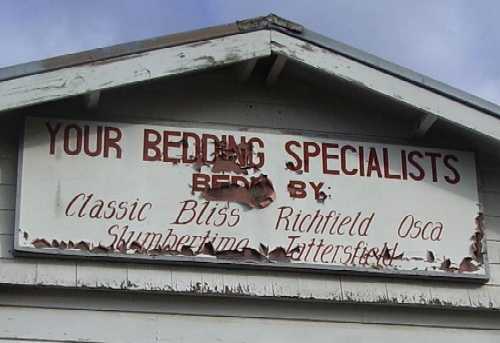 This is the Old Hind Furniture's Building, Queen Street beside Wairoa Club carpark. This is the Old Queen Street Store situated on the corner of Queen St & Delhi St. The Climbing wall on kid's lighthouse in playground beside bridge, Marine Parade. 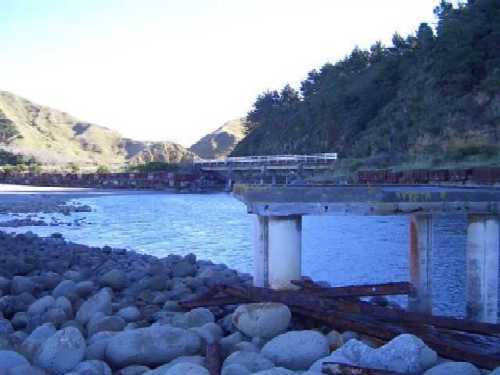 This is the old Waikokopu Wharf at Opoutama with the rail track along the bank on the right. 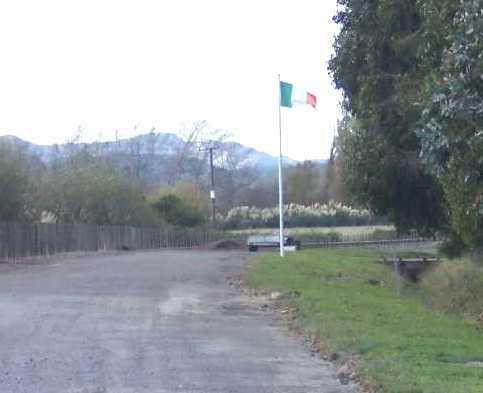 This is a photo of the Helipad located at the rear of the Wairoa Hospital. 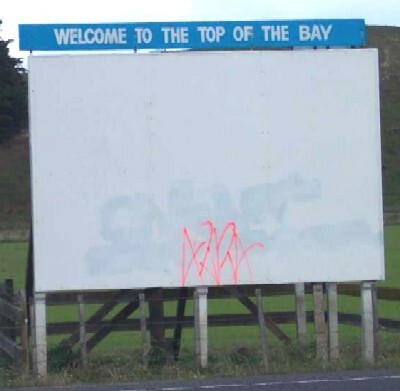 This photo was taken at the look out on top of the Whareratas half way to Gisborne. 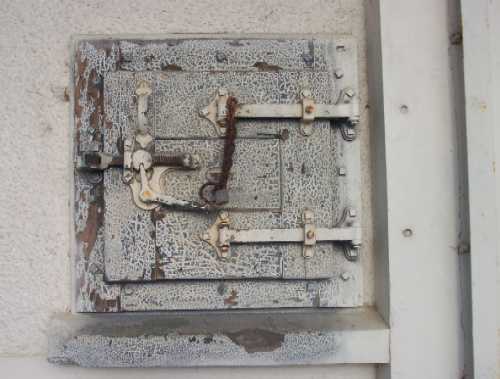 This is a photo of the an old Mail Box found down by the Lighthouse, Marine Parade. 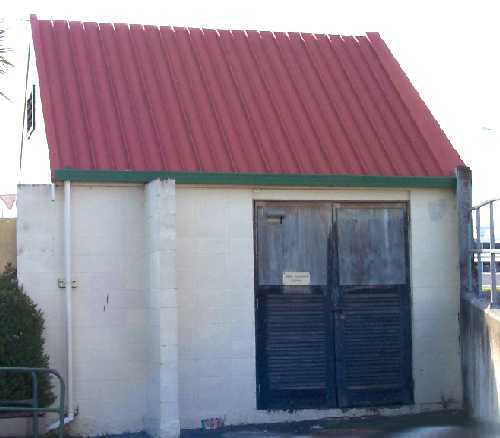 This is the old Dangerous Goods Store behind the Wairoa Cadets, Carroll Street. 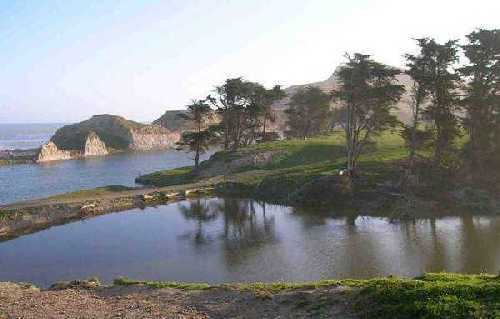 This photo was taken at Spooners Point on the corner. East end of Marine Parade. 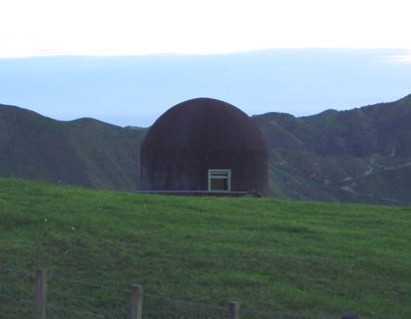 This strange building can be found along Burma Road, on the Mahia Peninsula. 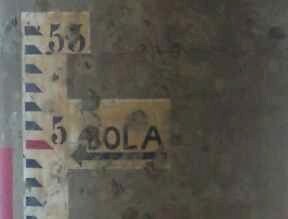 This is on the bridge pole on the north side showing the water height during Bola. 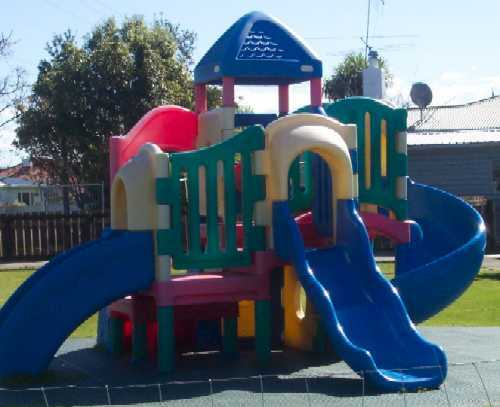 Found in the Kohanga Reo Playground. Corner of Mclean Street & Kabul Street. 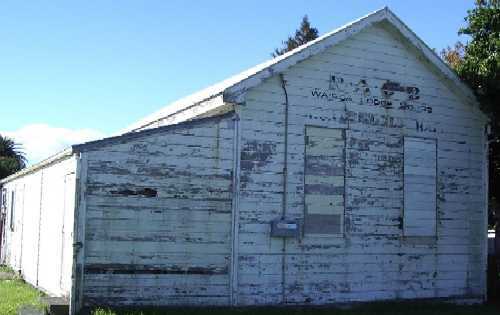 In front of the old laundry at the Wairoa Hospital, at the very west end, Kitchener Street. 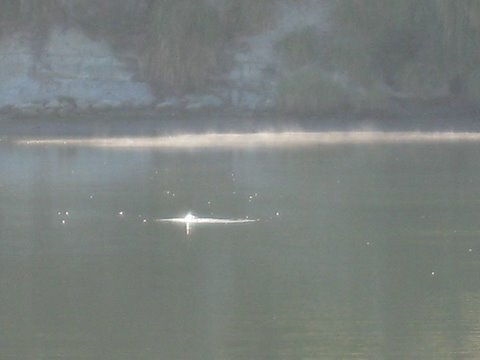 Taken from Mr Haynes property, part of his lagoon at Waihua Beach, south of Wairoa. 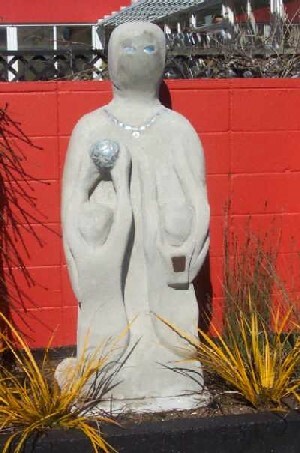 This photo of a statue was taken in front of Tiaho School along Clyde Road. 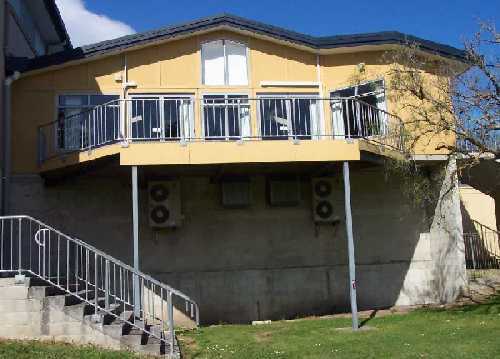 This is the back of the Community Centre, pool at bottom, conference room at top. 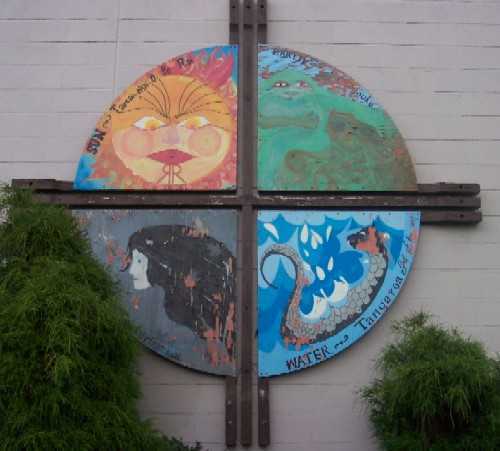 This is on the side of the main entrance to the Wairoa Hospital in Kitchener Street. 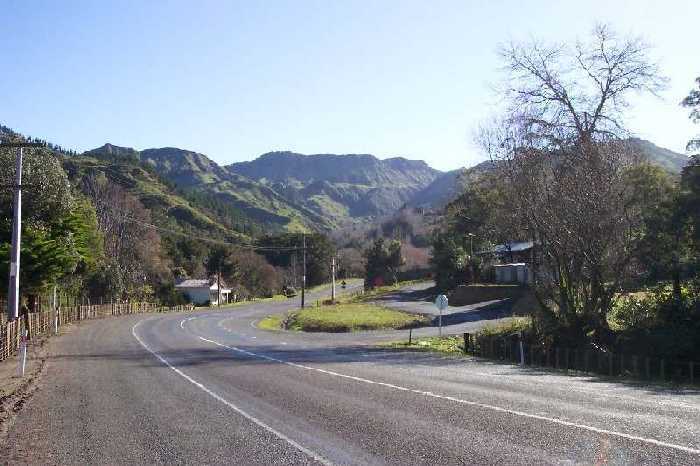 The Scamperdown Bridge heading out of Frasertown coming towards Wairoa.. These windows can be found on the top of the Hinds building at the back of Queen Street. 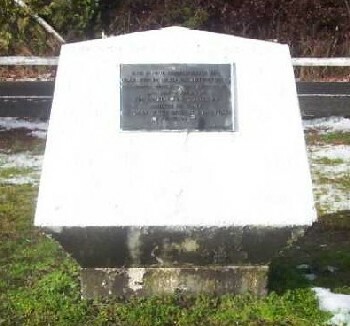 This monument is on the Lookout at the top of the Whareratas enroute to Gisborne. 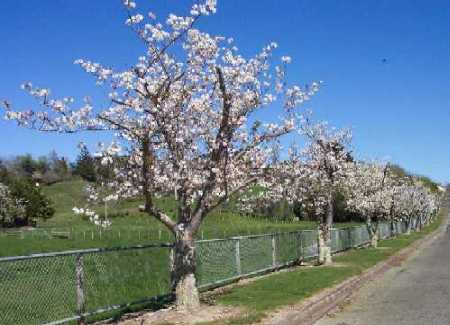 These trees full of Blossom, run along the side of the back entrance to the Wairoa Hospital. This building is the old Buffalo Lodge in Sommerville Street, North Clyde. 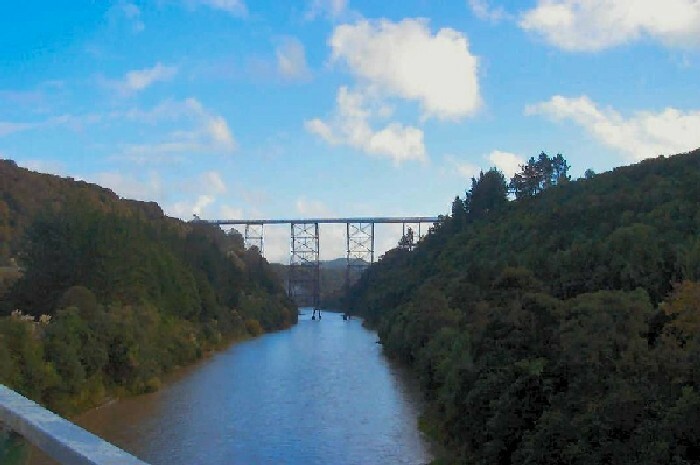 This is taken from the north side looking towards Wairoa, under the bridge. This is the Skate Boarding Complex in Alexandra Park along Marine Parade West. Basket Ball Hoop behind Complex in Alexandra Park along Marine Parade West. 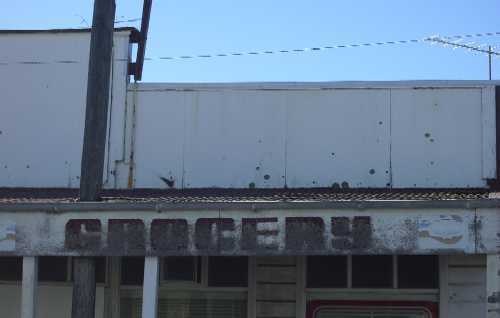 This old vacant Grocery Shop is along Carroll Street opposite Brian Hill Limited. 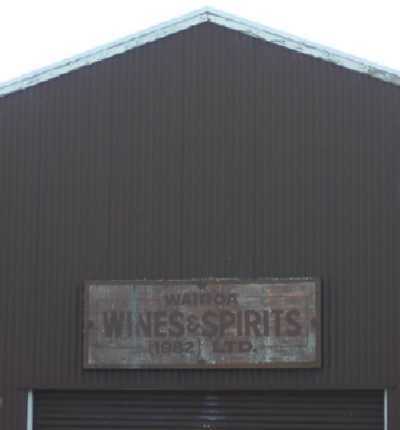 On the back of the Elders Building in Queen Street, which was Wairoa Wine & Spirits. 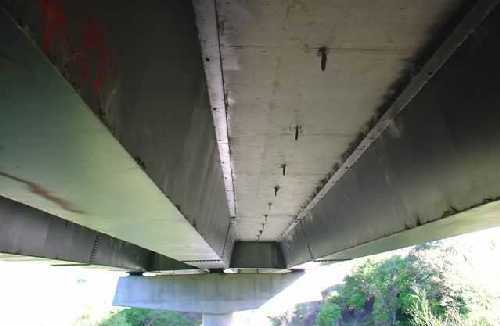 This photo was taken underneath the Scamperdown Bridge out at Frasertown. 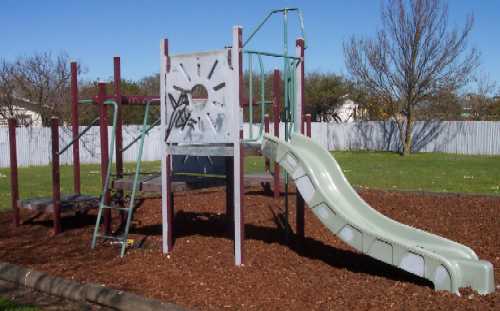 This slide and the climbing bars can be found in the McLean Street Playground. 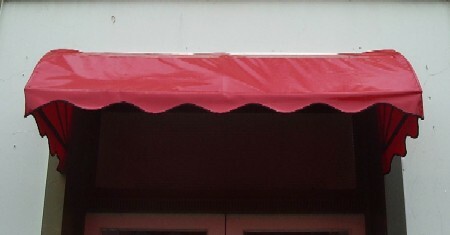 This photo is the awning above the doorway of Heron & Co, Marine Parade West. 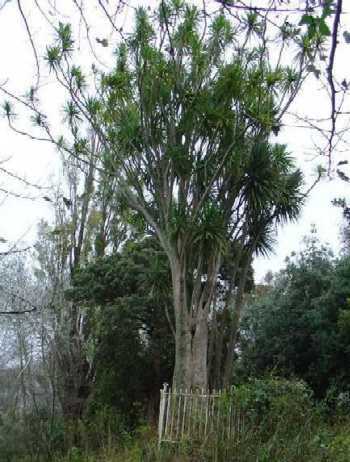 This photo was taken on a pole outside Greenhouse, along Mahia Avenue.. 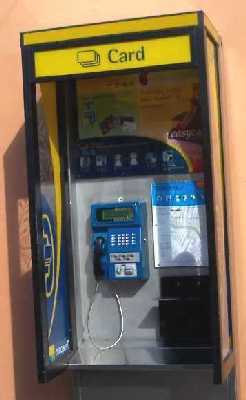 This is an Area Information Disc located beside the bridge along Marine Parade. 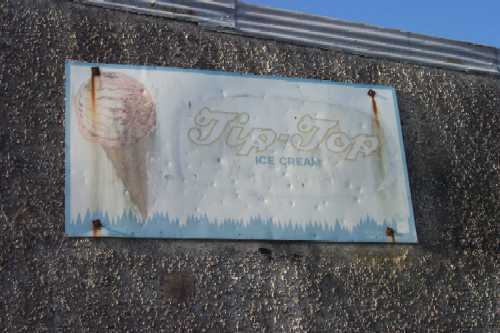 This photo can be found along the top of Mayos Takeaways now called Funky Foods. 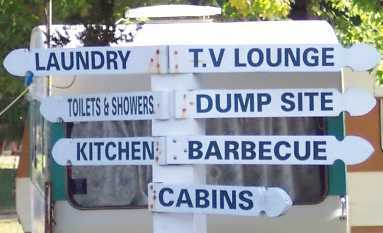 This holiday home can be found just past the Jon Dean turnoff on SH2 at Tahanui. 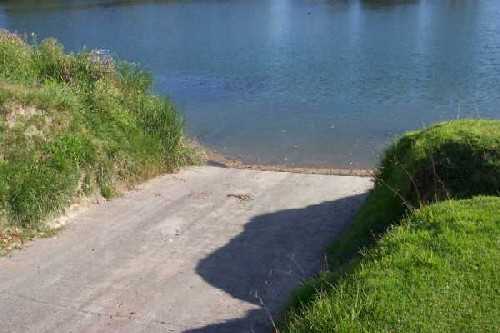 This is the Boat ramp found beside the Wairoa Water Ski Club West end of Marine Parade. This Photo was a Poster we found on the front window of Retravision along Marine Parade. 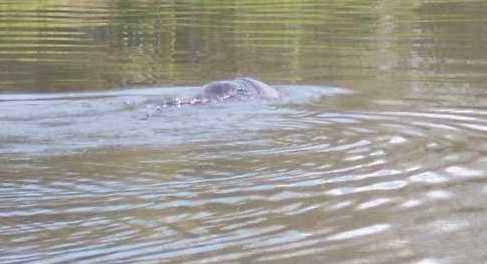 This is a photo of a seal that has made residence at Spooners Point, East end Marine Parade. 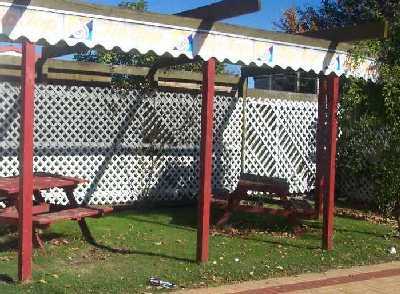 This is the picnic area beside Riverview Dairy, east end of Marine Parade. 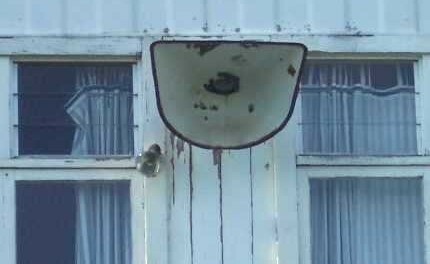 This speaker can found on the front of the Wairoa Ski Club Marine Parade West. 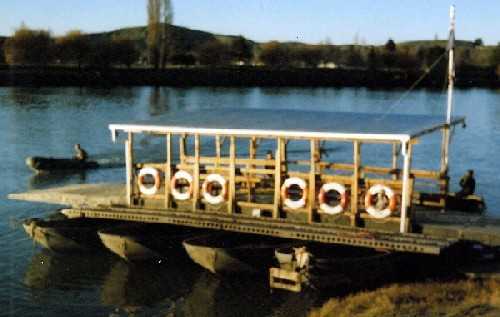 The Army barge used to transport us all across the river after Cyclone Bola Stuck. 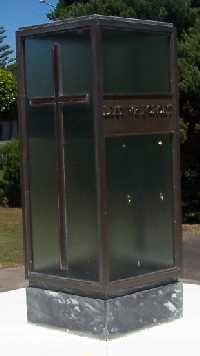 This Phone Booth is hanging on the side wall of Fish and Feathers, Marine Parade. This is above the doorway leading into the TAB building along Marine Parade. 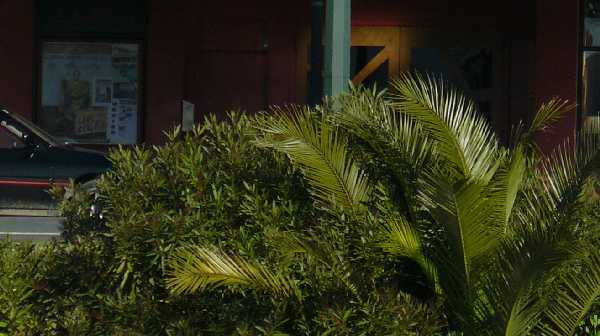 Outside the front of the Camping Ground Reception Office, west end Marine Parade. 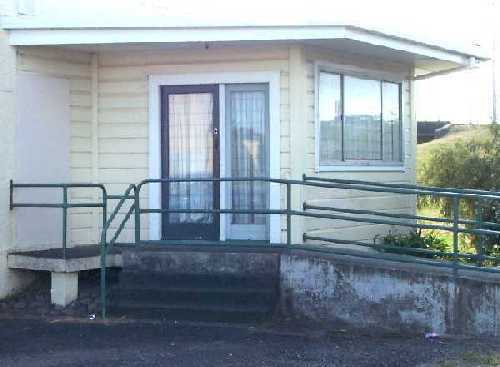 This Photo was taken beside the Arts Centre, Marine Parade West, beside the bridge. This was taken in the Riverside Camping Ground, west end of Marine Parade. 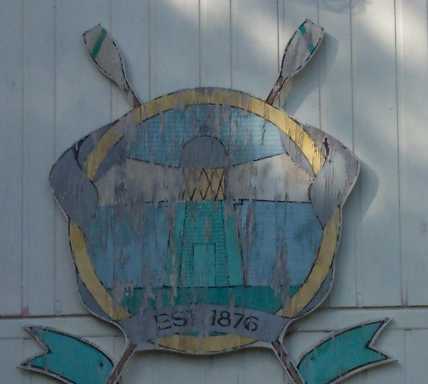 This sign was taken in front of the Rowing Club, west end of Marine Parade. 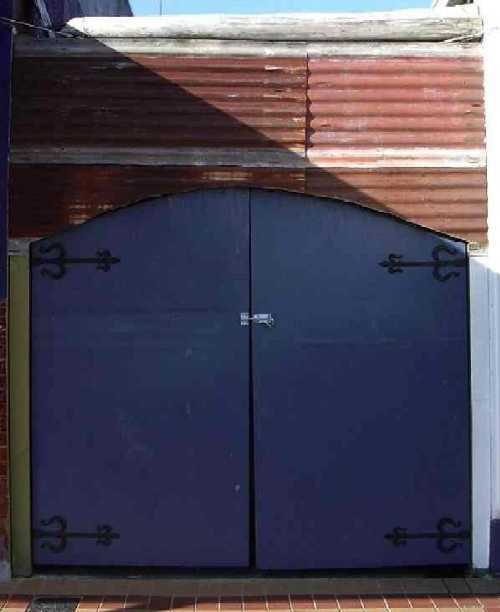 This is the front door of The Arts Centre, west end of Marine Parade, beside the bridge. 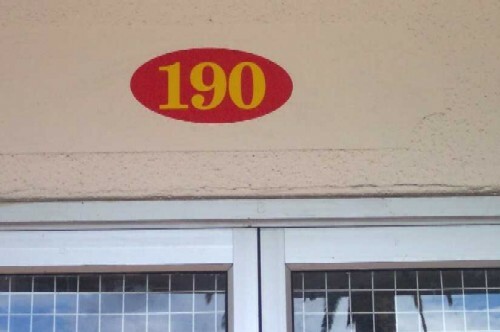 This can be found above the door of the Wairoa Ski Club, Marine Parade West. 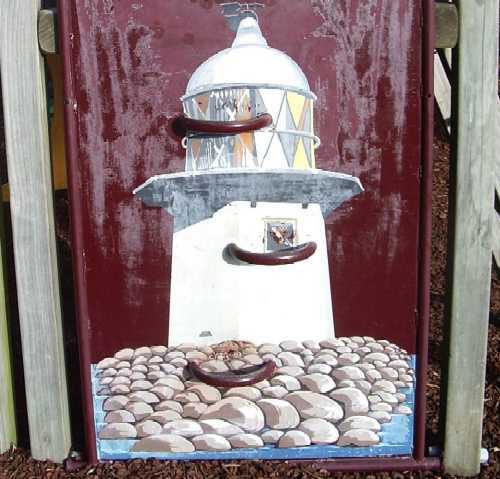 This is on the a small door beside the Wairoa Museum, Marine Parade Central. This is around Tarrant Cotter's Building Queen Street and Locke Street Corner. 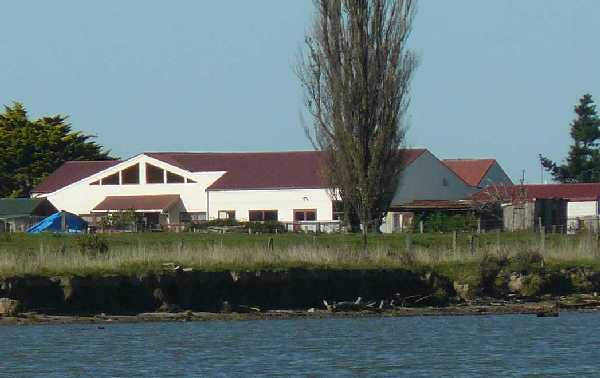 This photo is Te Rauhina Marae, Kihitu and was taken from the Wairoa River. 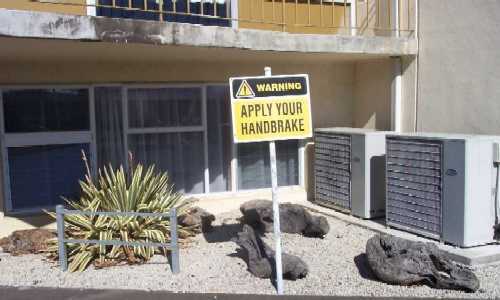 This informative sign can be found outside the Wairoa PHO, Cnr Locke St and Queen St. 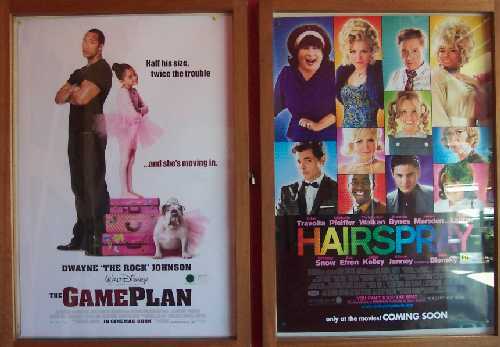 This was a movie poster outside the Wairoa Gaiety Cinema and Theatre, Marine Parade. 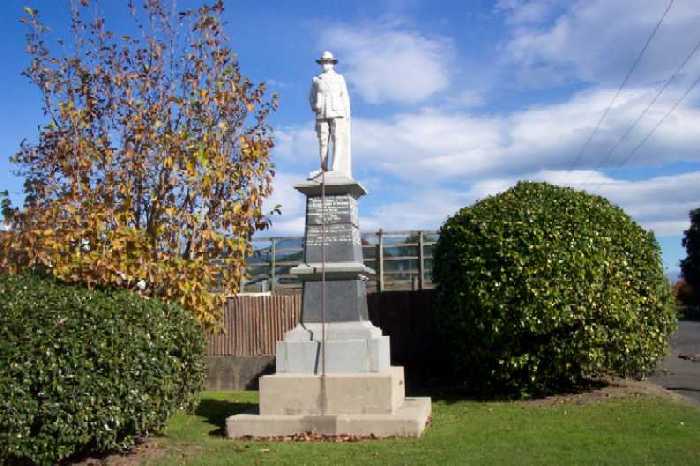 This can be found outside the Wairoa Memorial Hall, Corner Locke Street and Queen Street. 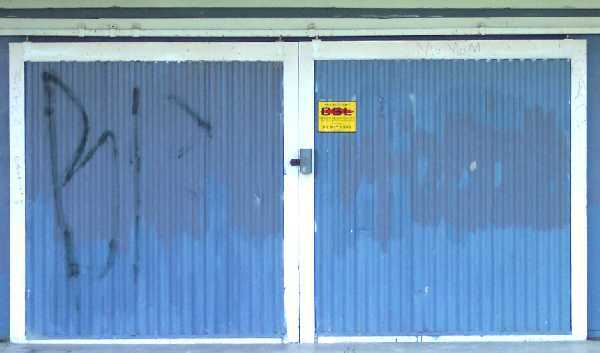 This is a photo of the Wairoa Water Ski Club garage doors, Lockwood Point. 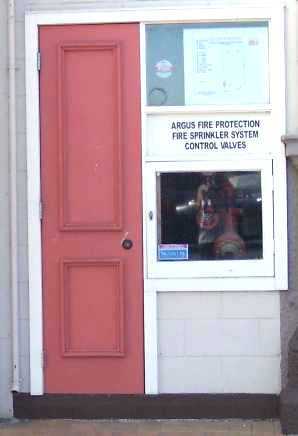 This is a photo of Age Cocern's door, Queen Street, opposite the Wairoa Star. 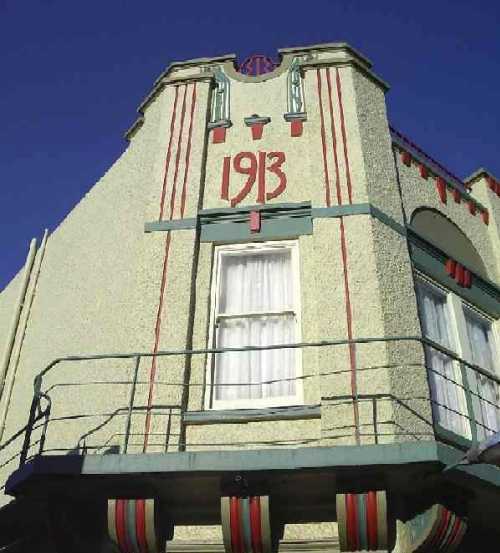 Wairoa Gaiety Cinema and Theatre, Marine Parade East, taken from the River. This is an aerial photo of the top of AFFCO Wairoa Plant, Freyberg Street, North Clyde, Wairoa. 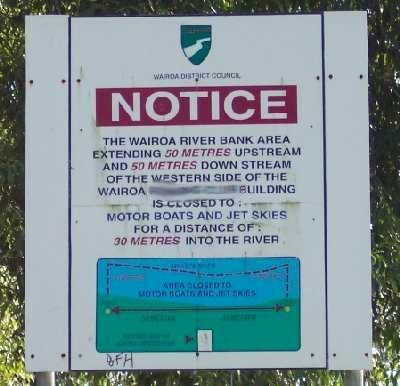 This is an aerial photo of the Wairoa River Mouth commonly known as the bar. Our local Seal playing in the mist in front of the Yacht club along Kopu Road. 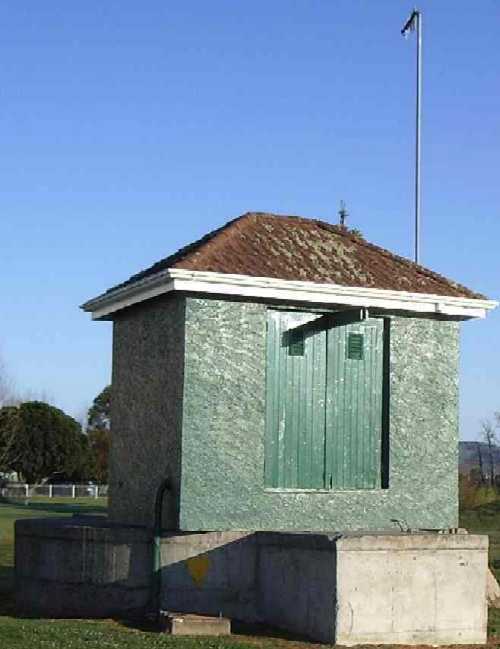 This is an aerial view of The Wairoa Rowing Club Boat house, Marine Parade West. This is an aerial view of the Ferry Hotel at the Southern End of Carroll Street, North Clyde. 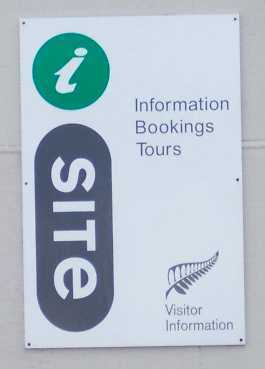 You will find this on the side of the Wairoa Information Centre building, Locke Street. 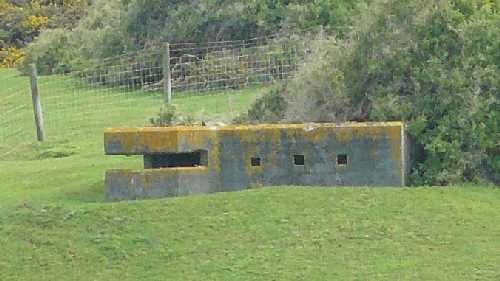 This Gun Implacement can be found at Whakamahi left up on the hill. This paddock of yellow is at the end of McLean Street, along Fraser Street. 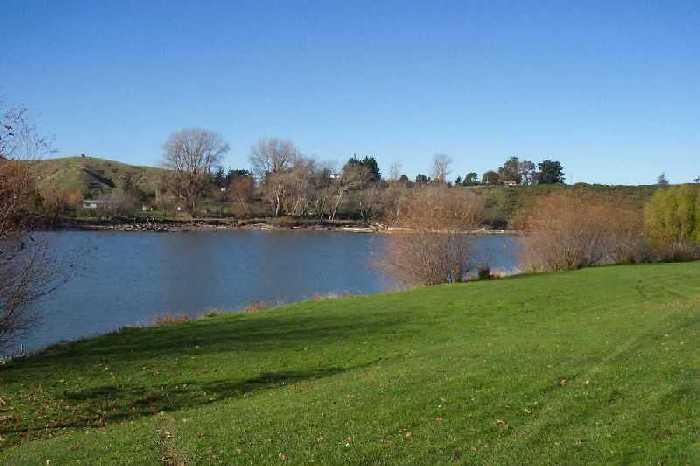 This was taken at the Wairoa River Mouth looking across at a mass of seagulls on the bank. 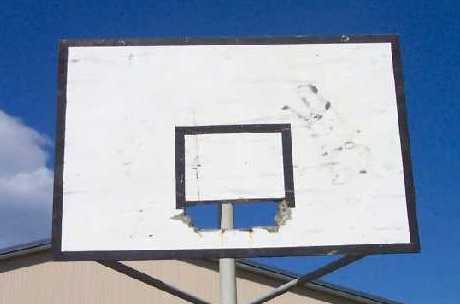 This basketball hoop is attached to the wall at the back of the Wairoa Community Centre.